My niece, fabulous swimmer that she is, gets to travel around the state for swim meets. Frequently, she finds herself and her friends competing in Newport, Oregon, on the Pacific Coast. So when I saw her recently, she had been there, in Newport, and had spent some time on the beach, in the sandy-sand. All the girls had flip flops on, which they apparently flung off in the sand to run down to the water. 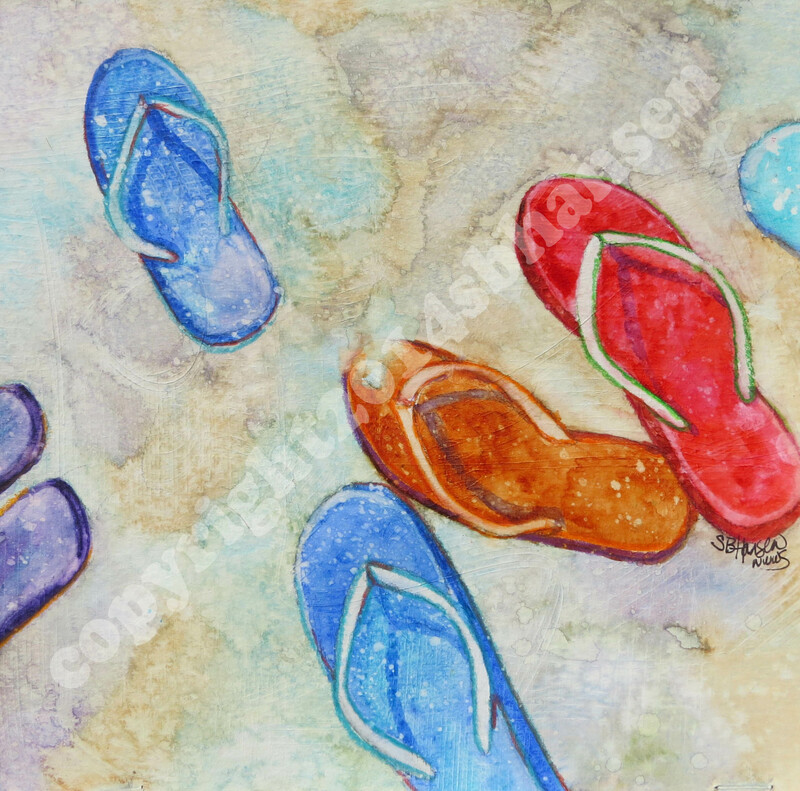 Someone had an artistic eye and snapped a photo of the flip flops. And I’m the lucky person to get to paint these. It was so much fun that I had to share for Thirty-Dollar Thursday this week! Make sure you get this one for $30 today. If we need to ship, it’s extra. First come, first serve. Remember to follow me on Facebook and follow this blog by scrolling down and clicking follow! Why? Because you can be “In the Know”, which will make all your friends jealous. 😉 Happy Thursday, everyone!